Compelled by the State Water Board, an Eastern US municipal water company recently abandoned an existing surface water treatment plant and developed two new production wells for their water supply. 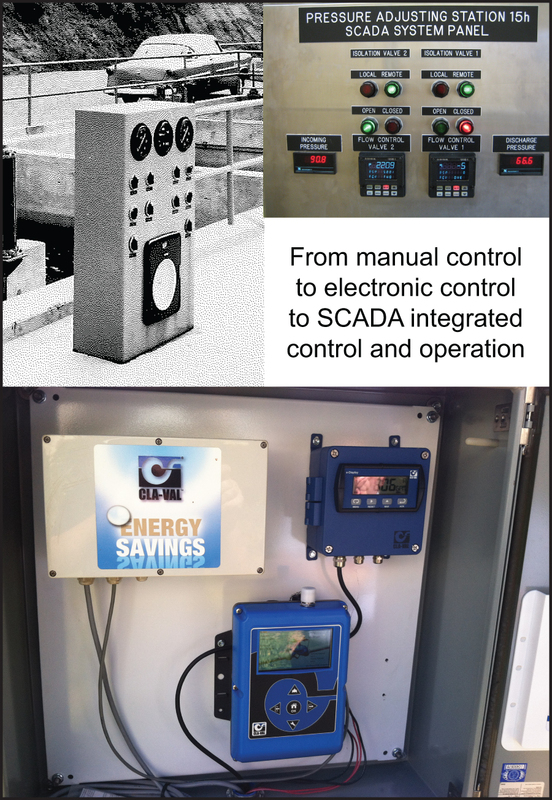 The project team ultimately determined that the best pump control approach was to use a combination booster pump control valve, air release valves, pressure relief valves and a control panel that could be integrated with the existing SCADA system. 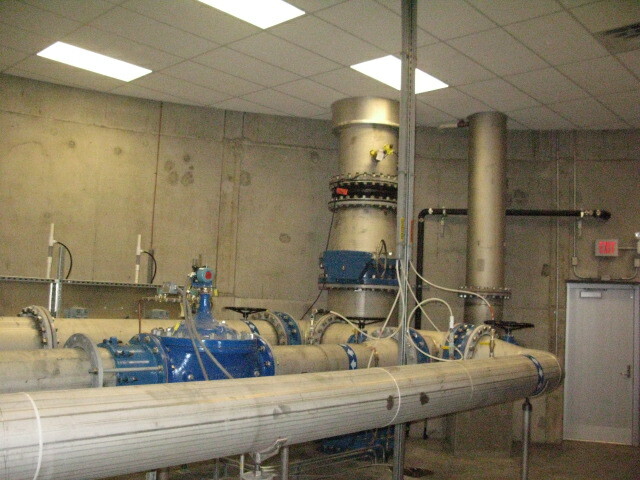 The installed equipment included Cla-Val’s 60 Series Pump Control Valve, 50 Series Pressure Relief Valves, 33A High Performance Air Release Valves and the PC-22D Pump Control Panel. The PC-22D controls the pump and valves to prevent surges in the system when the pump starts or stops. It consists of a pre-wired electrical control panel employing an integral controller (Cla-Val Model VC-22D) to sequence the pump and valves during all modes of operation. 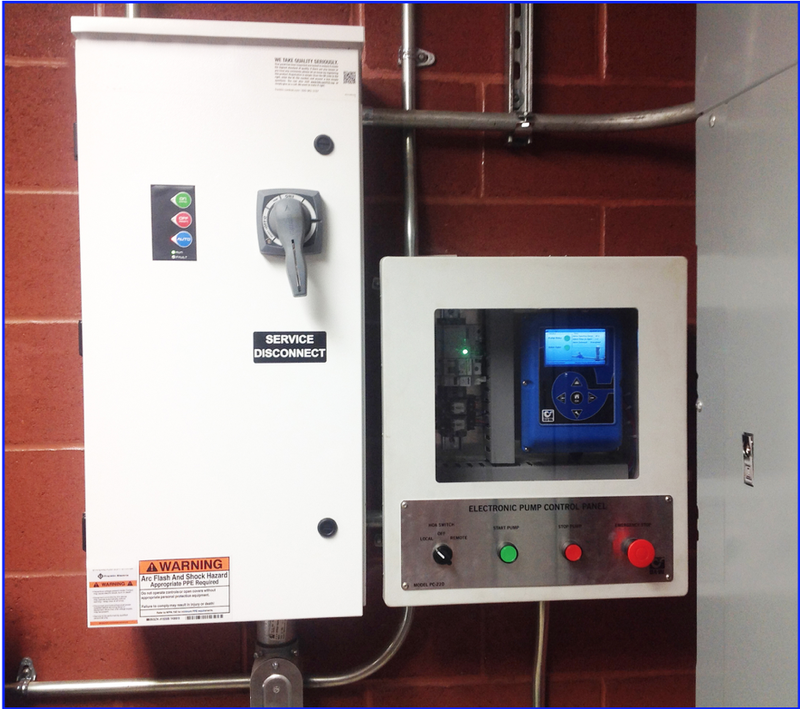 The programmable valve controller, which is housed in a NEMA 4X rated enclosure, provides protection to the pumping system from damage due to mechanical, hydraulic or power failure. The controller is unique in that its capabilities allow for either stand-alone operation or integration into a SCADA system with standard wired signals or Modbus (TCP or RTU) communications. 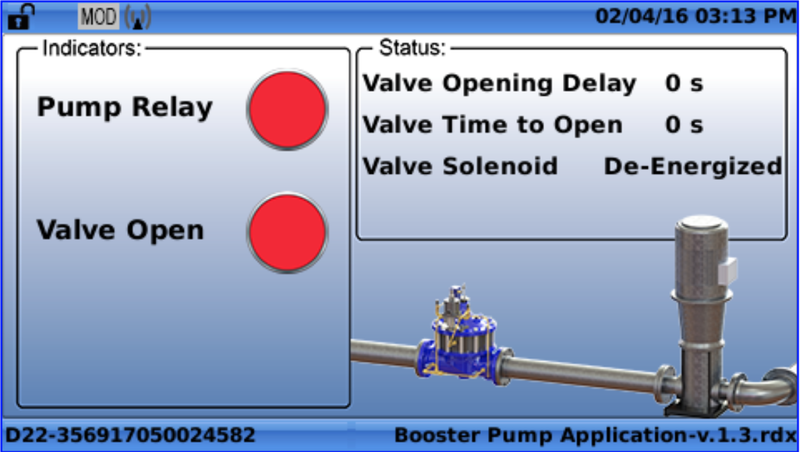 Using the valve controller’s intuitive programming screens, a customized ValvApp™ was developed to operate the pump and valves, resulting in a quick transition to the new water supply. 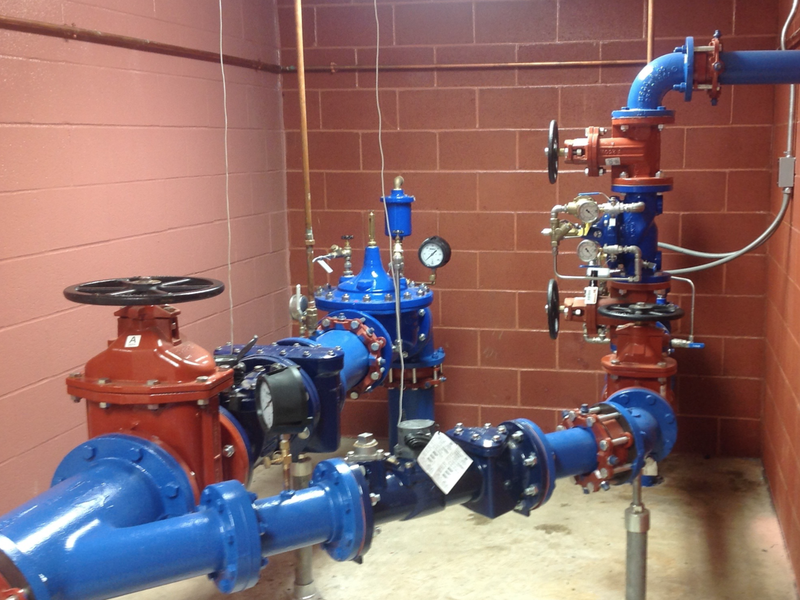 This turnkey solution offered by Cla-Val enabled the municipal water utility to put the wells in operation with the valves and control equipment coming from just one supplier. Click the links below to learn more about the VC-22D Valve Controller and our Custom ValvApp™ capabilities. In the past decade, the control valve industry has undergone significant advances in its ability to provide greater flexibility, control and service than ever before. 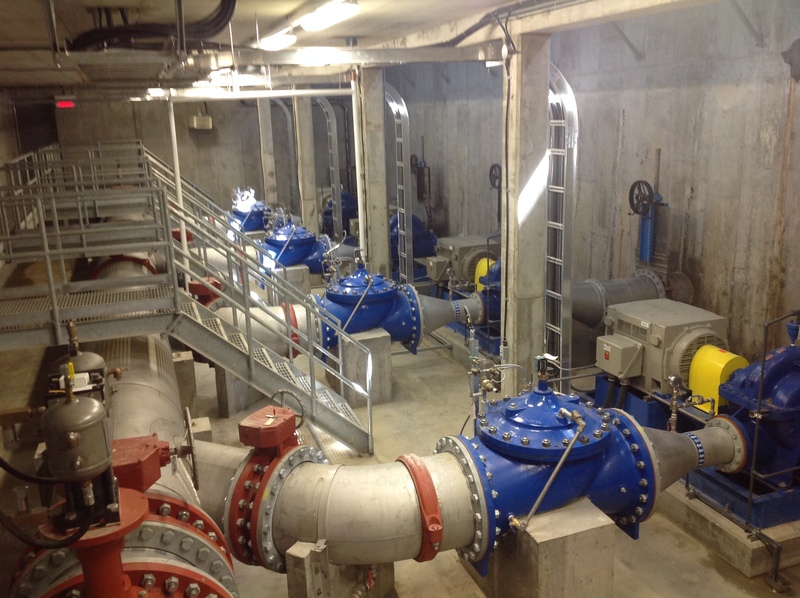 With the inclusion of electronic controls and other instrumentation at valve installations, an automatic control valve can now be considered a critical part of complex telemetry/SCADA and control solutions in water distribution systems. The development of new valve control components and auxiliary products are a direct result of listening and responding to water purveyors’ operational challenges. Example: By utilizing Cla-Val’s VC-22D Electronic Valve Controller, wireless communication between the valve and the utility management system is incorporated to the overall fluid delivery solution. The VC-22D can act either as a standalone valve controller or in conjunction with a SCADA system. Using newly developed electronic pilot controls, such as the Cla-Val CRD-34 Pressure Reducing Control, enables automatic adjustment of pressure based on demand rather than fixed set points, facilitated by the controller. This optimized pressure capability improves system efficiency, prevents damage from over-pressurization and helps save water. Cavitation can be mitigated by retrofitting automatic control valves with Cla-Val’s KO Anti-Cavitation Trim, significantly reducing that condition in applications with high-pressure differentials. Pipeline surge and water hammer can be anticipated and minimized through the use of valves equipped with special pilot systems as is seen on Cla-Val 52-03 Surge Anticipator Relief Valves. One of the most underutilized benefits that an automatic control valve can offer is the ability to include an electronic pilot system with an all-hydraulic back up. Because a hydraulic valve uses the system pressure to operate itself, that back up will allow the valve to continue to operate, even with loss of signal and/or power to the electronics. The potential to improve reliability and optimize system performance with specially equipped control valves is significant. With the recent advancements in control valve technology, valves can now be equipped with an integral X144 e-FlowMeter to add metering capability while eliminating the cost of installing an external meter. Automatic control valves can even be used to produce power if none is available at the valve site. This is done with Cla-Val X143 Series Power Generators that produce power using the hydraulic energy in a piping system to operate electronic controllers and pilots, without impacting the primary function of the valve. 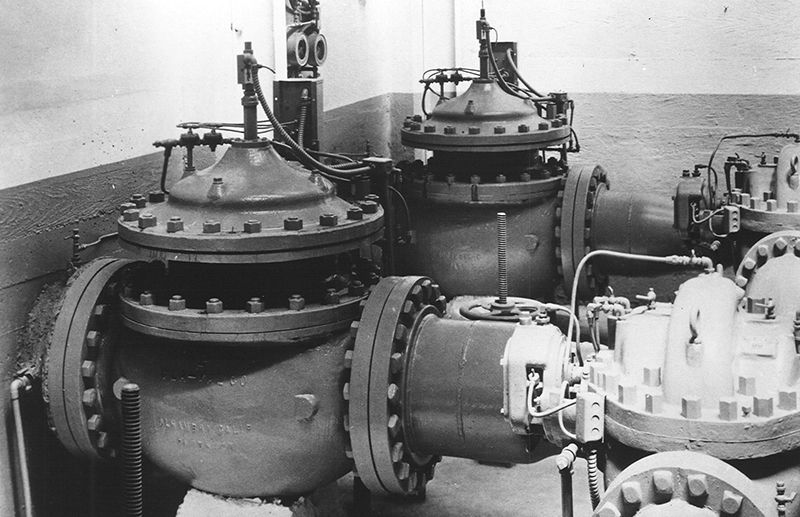 From basic functions such as pressure reducing and level control, to the most advanced applications, development of peripheral technologies has allowed the control valve to become a more valuable, multi-faceted component of today’s water systems. 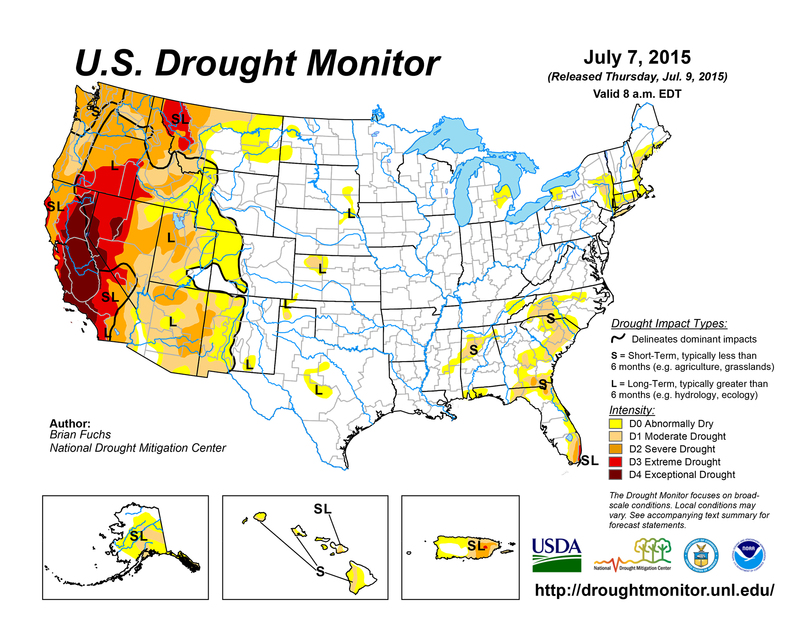 We expect that control capabilities will continue to grow exponentially as the necessity for efficiency and reliability of water delivery solutions becomes ever more critical. Cla-Val is known for its ability to create solutions for unique requirements in fluid control applications. In fact, it’s one of the things we do best. Our customers’ need for specialized solutions is the reason why we have a large, in-house Engineering team. It is also why we have one of the strongest R&D teams in the control valve industry. Cla-Val does more than supply standard fluid control products; we set the standard for innovative fluid control solutions. 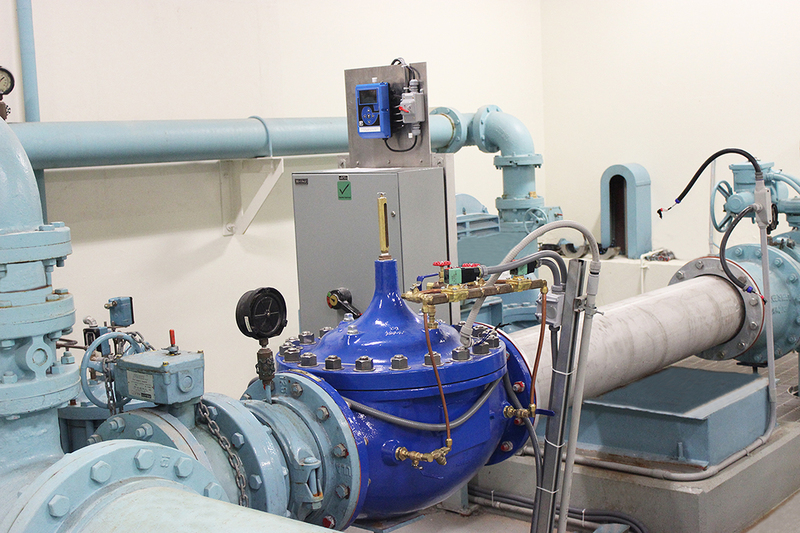 A little over a year ago, we introduced the VC-22D Electronic Valve Controller to the waterworks industry. Our R&D teams in the US and Switzerland developed the VC-22D to serve as an interface between a SCADA system and other devices installed on or around a control valve. Today, the VC-22D controller is used throughout the world to improve system performance. If none of the supplied apps will meet customer requirements, Cla-Val engineers have the ability to write custom ValvApps™ to suit any application parameters. 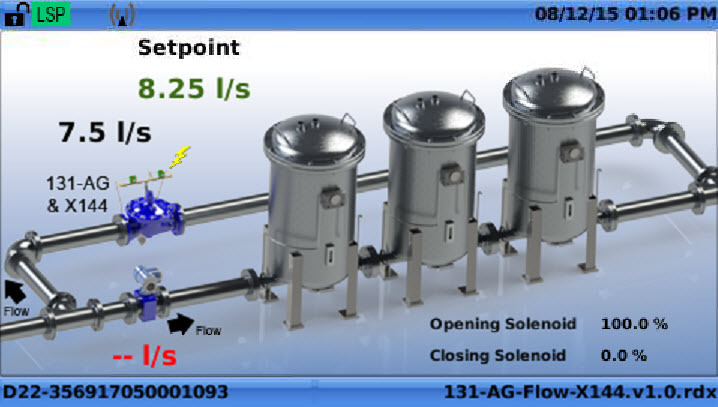 Using a proprietary development environment call “R-Designer”, programs can be customized with multiple PID functions, totalizers, metering functions, various alarms, control curves, numerous timers, or any advanced logic system requirement. Using “R-Designer”, custom graphics can be inserted into any ValvApp™. Customer logos, system indicators and timers can be added with ease to the VC-22D home screen. 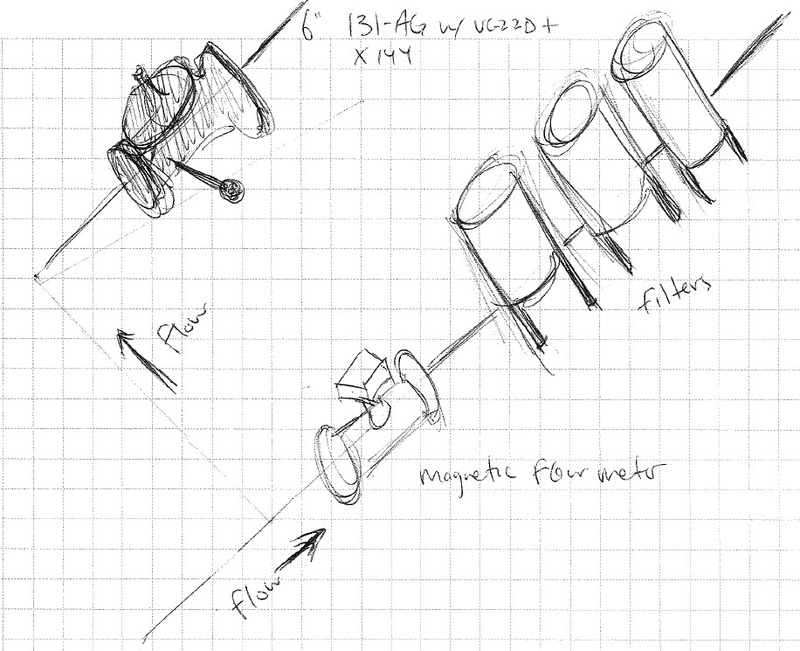 A simple customer sketch is all that’s required to develop a customized ValvApp™, examples of which are shown below. After Cla-Val Engineering develops a customized app, it can easily be uploaded, even after the VC-22D controller has been installed. Click here to learn more about custom valve control. 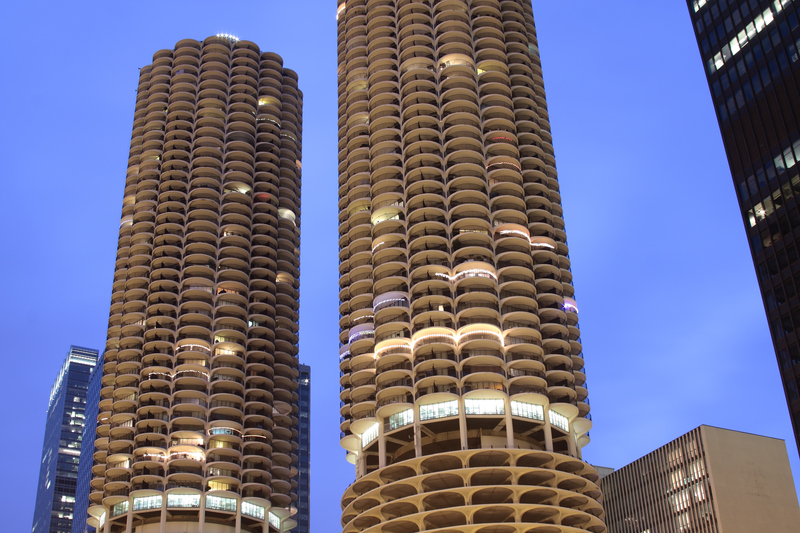 Supplying water in high-rise buildings has changed dramatically over the past few decades as architects and contractors design and build ever-taller residential and commercial structures. In 1965, the tallest building in the world was the Empire State Building in New York City, standing at 1250 feet tall. 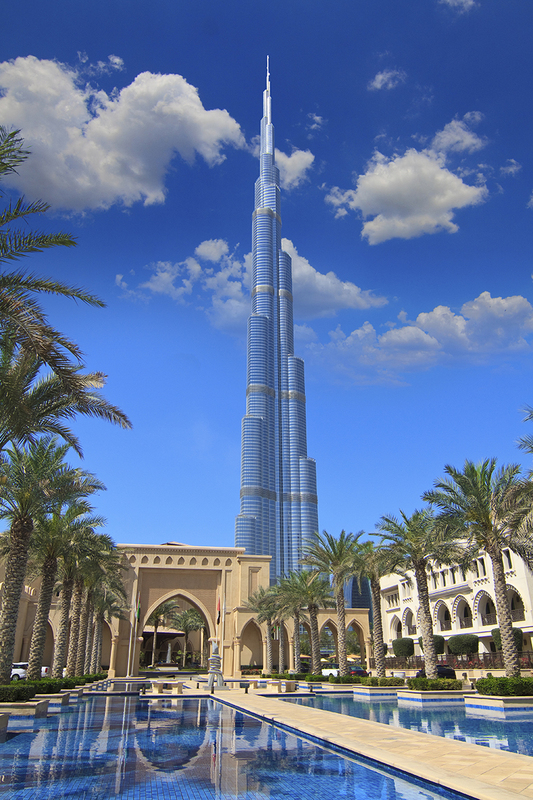 Today, the tallest building is the Burj Khalifa in Dubai, United Arab Emirates at 2,718 feet. Even that mega-tall structure is soon to be eclipsed by the Kingdom Tower in Jeddah, Saudi Arabia, which will reach 3,280 feet tall when completed in 2019. Buildings that are that tall face many challenges with regard to supplying domestic water for drinking, bathing and sanitation, as well as water needed for cooling and fire fighting. Cla-Val Automatic Control Valves and other complementary products such as air valves and check valves are used in high-rise building domestic water, fire protection and HVAC/cooling systems in a wide variety of applications, as shown below. In a well-designed system, the valves throughout the building work in harmony to provide water at the optimum pressure for human consumption, for mechanical systems and to fight fires. In domestic water systems, Pressure Reducing Valves (PRVs) are installed in multiple locations starting from initial entry into the structure through pumps (i.e. in the basement) where water pressure from city main transmission lines is reduced or increased to usable levels. From there, pressure is adjusted through booster stations located intermittently throughout the structure to ensure adequate pressures at higher elevations. The most commonly used Cla-Val PRVs used are 90 Series Valves and the CRD-L Direct Acting PRVs. Pressure Relief Valves are used throughout high-rise building to prevent excess pressure and to thwart pressure surges and water hammer caused by pump stops and starts. The most commonly used Cla-Val products in high-rise for pressure relief applications are 50 Series Valves. These, and other valves such as PRVs equipped with anti-cavitation trim to prevent noise; differential pressure relief valves used in the cooling system; and float control valves in onsite water storage tanks; all contribute to the health, safety, and comfort of the people that work and reside in high-rise buildings. 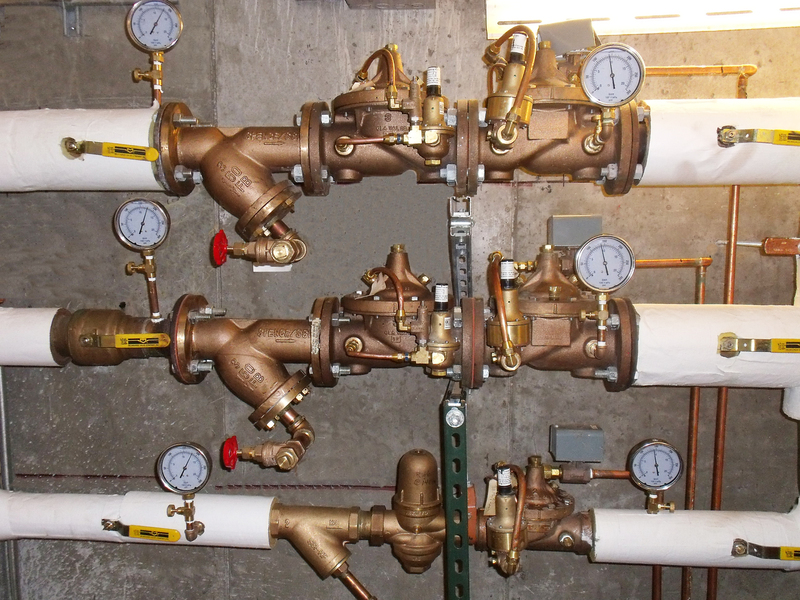 The valves that are used in the fire protection system are arguably the most important valves in high-rise buildings. First, there are the workhorse valves that adjust pressures upward or downward to accommodate fire flow requirements (such as Model 90-21 PRVs, see item 22 in Figure 3 above). Also in the VIP spot are valves such as 50 Series Pressure Relief Valves and Model 50B-4KG1 Pressure Relief Valves that protect the system during pump starts and stops. 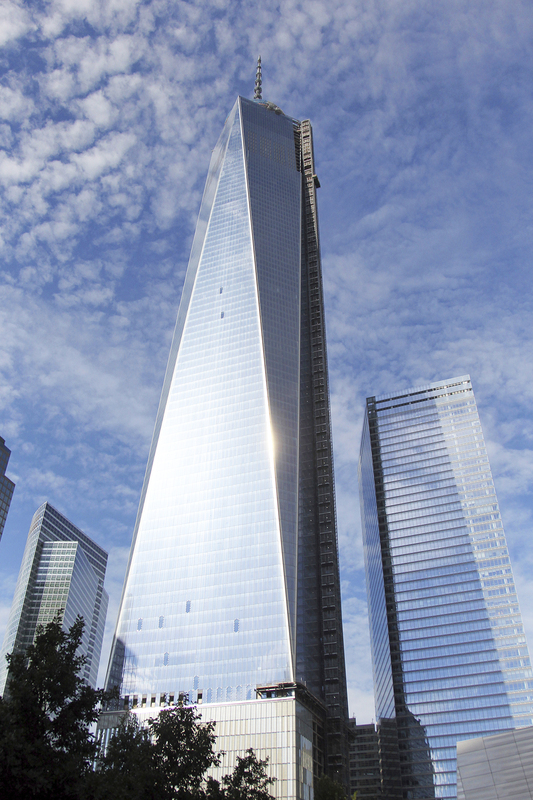 After the tragic events of the 9/11 World Trade Center attacks, Cla-Val, in conjunction with the designers behind the new WTC buildings, developed the Automatic Breach Control Valve (ABCV). The ABCV automatically isolates portions of distribution piping when a catastrophic downstream breach or line break occurs. An ABCV is typically installed in commercial building water distribution systems, such as fire protection, potable water service, or chilled water circulation. 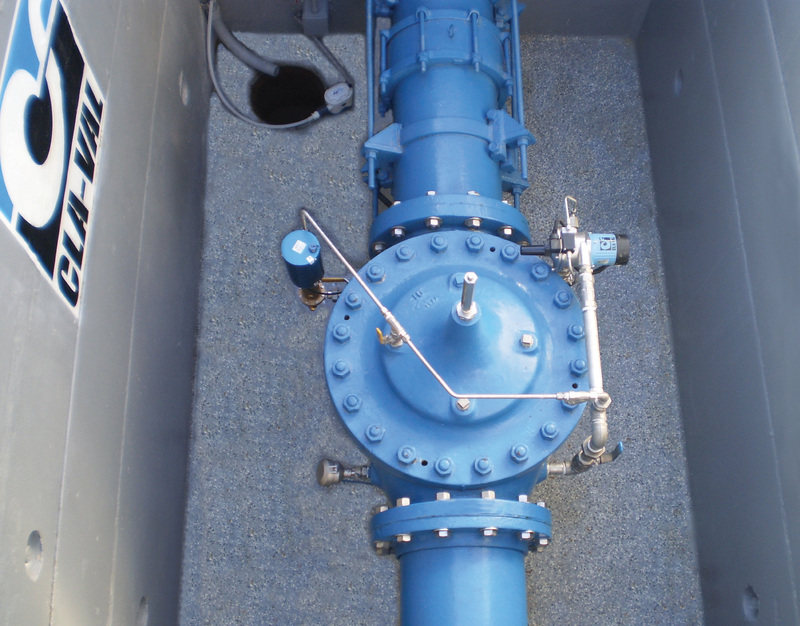 Strategically located throughout the piping network to isolate damaged portions of water systems, the ABCV prevents significant water loss and damage, allowing continued service until piping can be repaired. The Breach Control Valve is especially well-suited for high-rise building fire sprinkler systems because of the systems’ vulnerability to failure should a line break occur in the top floors, where gravity can cause fire water reserves to quickly drain. Look for Cla-Val Model 85-09-1 when considering the implementation of added fire system reliability. We could talk all day about which control valves are the best options for ensuring optimum health, safety and comfort of residents and business tenants that live and work in high-rise structures. Perhaps the surest way to know that is to look at the choices designers and constructors the world over have chosen for their masterpieces. 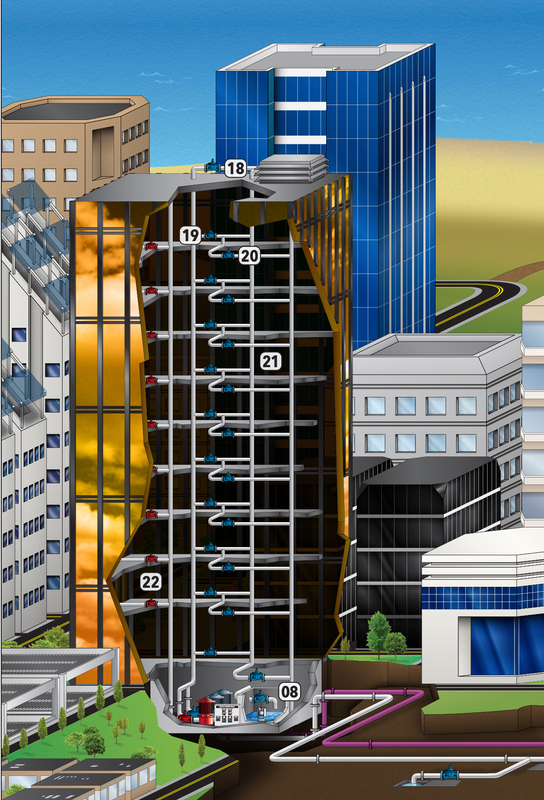 Tens of thousands of Cla-Val products are installed in high-rise buildings throughout the world. 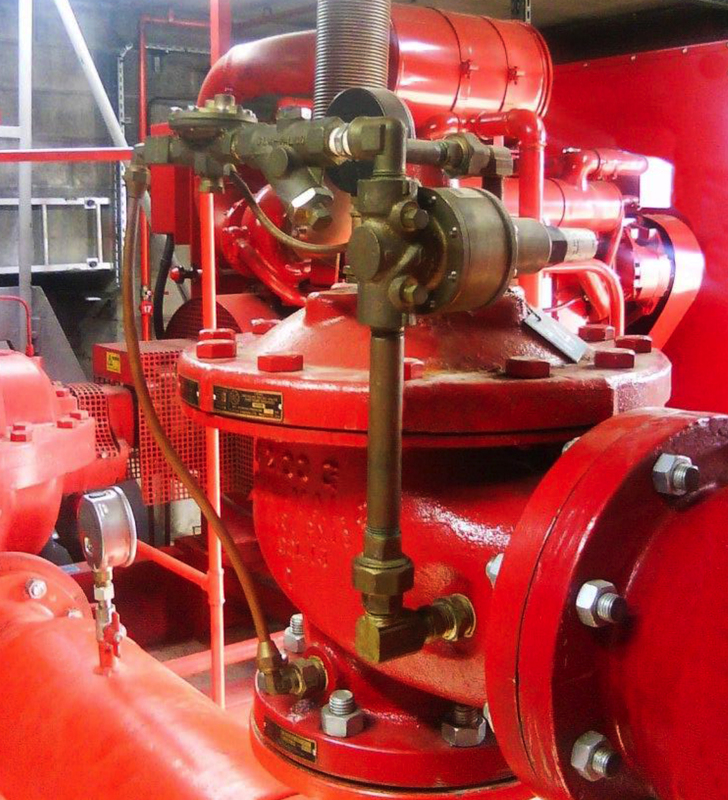 From New York City, Boston, Philadelphia and Baltimore to Chicago, Miami, Atlanta, Austin and Los Angeles, skyscrapers in the US utilize Cla-Val control valves in their domestic water, fire protection piping, booster pump station and fire pump installations. Some of the more recognizable US locations include One World Trade Center and the Bank of America Tower in New York City; Millennium Park, Chicago; Hancock Place, Boston; Westin Bonaventure, Los Angeles; and Comcast Center and Liberty Place Towers, both in Philadelphia. 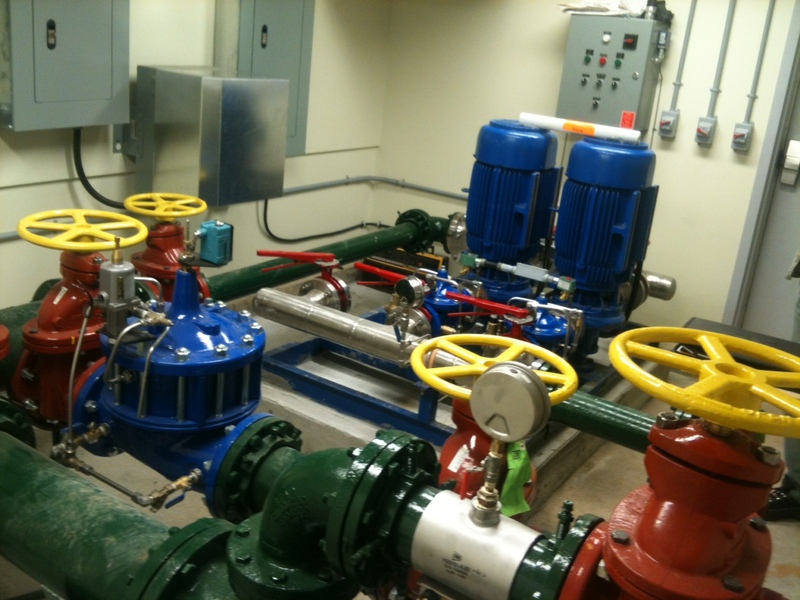 It’s not just newer structures that use Cla-Val control valves. 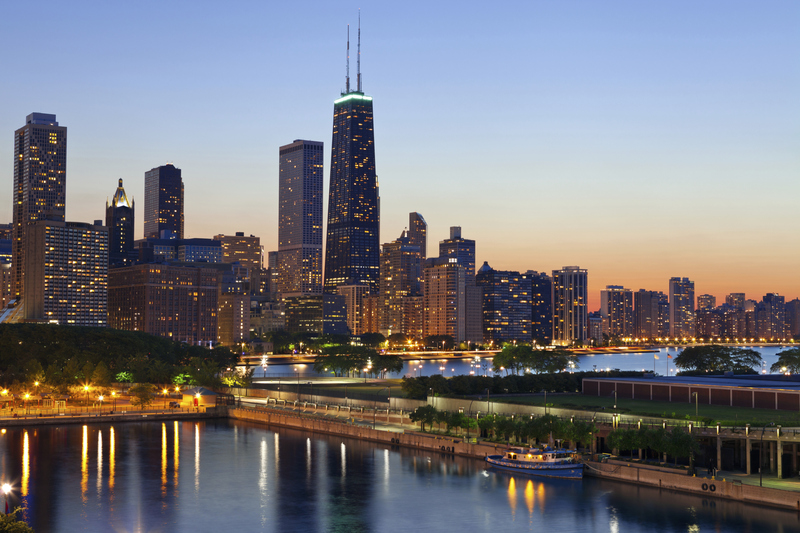 “Vintage” skyscrapers such as the Marina Towers (1964), the John Hancock Building (1969), and Willis (Sears) Tower (1974) in Chicago have counted on Cla-Val control valves for reliable domestic and fire protection water service since their beginnings and still do today. The list of international high-rises utilizing Cla-Val products reads like a “Who’s Who” in the realm of mega structures. They include the world’s tallest building – the Burj Khalifia, Dubai, United Arab Emirates; plus Petronas Towers, Kuala Lumpur Malaysia; Gran Torre Tower, Santiago, Chile; Multiple high-rise buildings in La Defense business district, Paris; Frankfurt Main Tower, Germany; Mandarin Hotel, Singapore; and Shanghai Grand Hyatt, to name a few. The next time you are staying in a high-rise hotel, attending a meeting in commercial skyscraper, or just getting a bird’s eye view of the city you are visiting, you can bet that the domestic and fire protection systems are equipped with Cla-Val products. Enjoy the view! Visit www.cla-val.com to see our complete product line.